Symmetry and Hue is a Northern Gold Coast based decorating business that focuses on colour consulting, creating functional spaces and bringing the customers personality into their home décor. AM Designer Projects directors Andy McDonald and Anneke Menrath have over 40 years of combined design experience. Andy is an extremely talented building designer, and has been a design manager for some large building and design companies. To discussplease contactbAndy on 0439989905. AM Designer Projects provides a total design solution for its clients from Sustainable Building Design, Interior Design to Styling. AM Designer Projects PL has previously teamed up with Builders like Unique Homes to win HIA Display Home over 500k Gold Coast 2016. 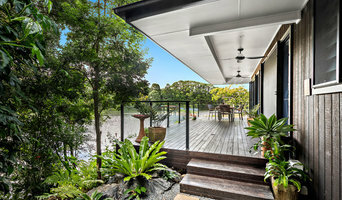 AM Designer Projects is QBCC Licensed and Insured. Salt Living Interior Design deliver creative beach home and office spaces that will make the ultimate first impression on your guests and clients. Specialising in Coastal Living Interior Design, we can help you capture the calm, fresh seaside energy in your home or office. We tailor our design approach to your individual style by listening carefully to your ideas and vision, and taking the time to understand the feelings that you want your space to evoke. We can follow specific instructions to make your vision come to life, or if you prefer we can offer some concept designs for your approval then let our creative flair shine in your space. Our services are very flexible catering to all budgets. We approach each and every interior design project with the same energy, passion and creativity we would dedicate to our own home or place of business. 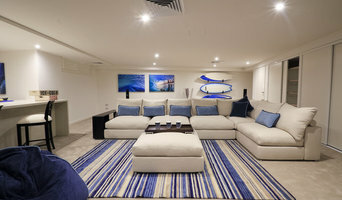 We create spaces that have that real “Wow Factor”, and will have your friends and family asking where you got your unique statement pieces. As part of our Interior Design Services we provide… Window Treatments. (Custom made curtains & blinds) Soft furnishings. 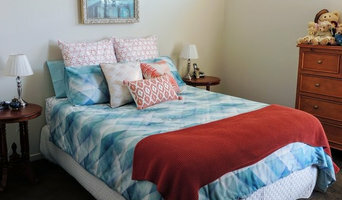 (Custom made cushions & bedding) Custom made rugs. (To fit your space perfectly.) Room by room makeovers. (From one room to all) Residential Styling. (Furniture, soft furnishings, rugs, lighting, window treatments, decorative touches.) Commercial Styling. (Offices, holiday rentals.) If you would like an Onsite Consultation with Salt Living Founder Jacinta Bishop or a Coastal Interior Design Specialist from her Salt Living team please click the button below to express your interest. We would also like to invite you to our boutique in The Strand at Coolangatta where so you can be inspired and browse our carefully selected range of handcrafted interior design and home décor pieces. Coverings brings a fresh new modernistic & stylistic look to your commercial spaces, public facilities, & homes. We specialise in 3D Wall Tiles, Feature Walls, & Vinyl Planks. 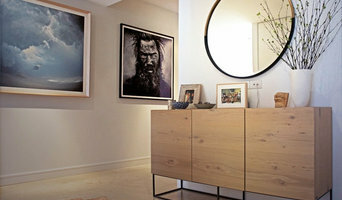 At melina ramsay design we believe the essence of interior design will always be about people and the way they live. It is our philosophy that the ambience of a home is a reflection of those who live within it, so we strive to ensure that your ideas and personality shine through. We believe that if an interior is catered to meet the needs of its occupants, it will undoubtedly be a space that evokes wellbeing, comfort and joy. At melina ramsay design we create innovative, timeless design concepts, based on the principle that through simplicity, clarity and beauty is achieved. With a focus on continually evolving our business, we endeavour to enhance the quality of your life, by creating living spaces which express your lifestyle. Jacki Stephens Designs provide Interior Design Services for both private and commercial clients. Services include Custom Furniture, Display Home Installations, Renovations, Colour Consultation, Kitchen Design and Project Management.